Its population has declined by more than 50% in the last 16 years and this trend is continuing. 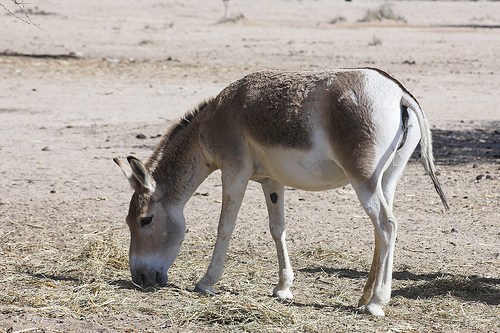 Habitat: Asses live in desert or semi-desert areas, steppeland (grassy plains) and mountainous regions. They prefer hilly areas but will come down into the valleys to avoid dust and snow storms.